EghtesadOnline: The US dollar, the most widely traded currency in Tehran’s foreign exchange market, once again gained against rial in Tehran’s open and official foreign exchange markets on Sunday to maintain its bull run that began in early autumn. According to Tehran Gold and Jewelry Union’s website, the rial was quoted in the free market at 39,830 to the dollar on Sunday, which is down 120 rials compared to Saturday’s close. However, the Central Bank of Iran, which sets the rate of official foreign currencies, refused to raise the official exchange rate of the greenback on Sunday and kept it at 34,049 to maintain its market control. 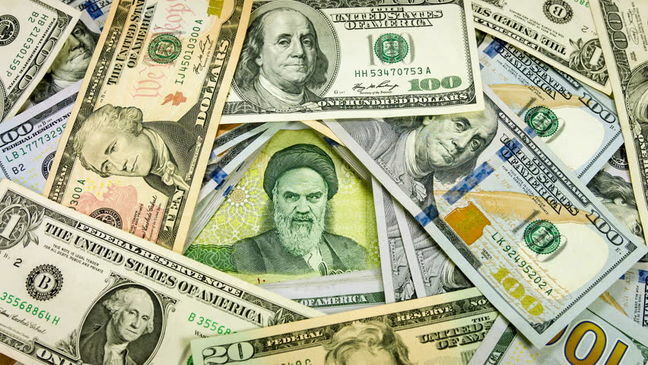 The US dollar started its rally two weeks ago when its exchange rate in Tehran’s open market hovered around 38,920 rials and gained about 910 rials during the period to reach its highest value in Iran’s forex market since December 2016, according to Financial Tribune. According to Tehran’s forex market operators, an uptick in Emirati dirham's remittance rate, speculative activities and fears that the US president might pull out of the nuclear accord are all factors behind the bull run for the US currency. The value of Emirati dirham's remittance in Tehran’s open market has gained more than 200 rials in less than a month. The value of this key currency in Tehran’s market has always affected the rate of USD, as many traders and merchants need either dirham or US dollar for their trade, given the high volume of transactions with the UAE. This is while the hectic activities of USD speculators in the parallel forex market are evident, as they are trying to push the USD rate up to gain more profits. Some of these traders have reportedly wagered on an exchange rate closer to 40,000 rials. In the midst of all this, US President Donald Trump is expected to announce next week that he will decertify Iran’s nuclear deal, by claiming that it is not in the national interest of the United States. The move would mark the first step in a process that could eventually result in the reinstatement of US sanctions against Iran, which will notably affect most Iranian markets, including that of foreign exchange. While many believe USD’s rally will press on during the coming days, another group of market analysts reckon otherwise. They have confidence that CBI will not let the American currency to keep surging, as their policy have always been to keep the market calm, even if that means injecting additional amounts of hard currency into the market. The country is also getting closer to the time when millions of Iranians travel to Iraq for commemorating Arbaeen, a major Shia mourning event marking the 40th day anniversary of the martyrdom of Imam Hussein (PBUH). The occasion is usually accompanied by a significant demand for USD in Iran’s forex market, which obviously increases the rates as well.